Speaking of absentee members...where is NOLA2005 ? "On the Mountain" is not a satisfactory explanation. I fall into the grade 2 category. Can't seem to shake it, so I hope you understand that I'm going to pass on the ginger root soup. The picture alone was too much to stomach. but I suspect some of our posts would make her headache and nausea worse. We've posted some stomach-turning stuff...most recently, your diarrhea-filled soup bowl. Last edited by BTDT2; 09-18-2018, 06:10 PM. I meant to ask if you had crazy dreams when recovering from your concussion? PR, I don't recall any unusal dreams. Never had ED, just CS (catheter sag). Last edited by BTDT2; 09-23-2018, 05:08 PM. Last edited by PR723; 09-23-2018, 04:40 PM. Last edited by PR723; 09-20-2018, 04:03 PM. 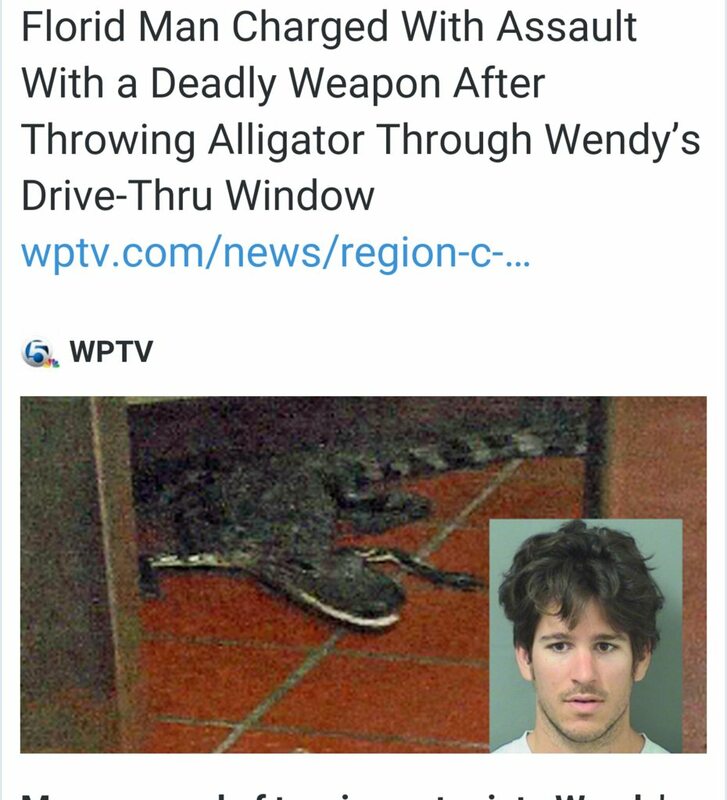 I'm sure far more people have been killed by Wendy's Baconator than by alligators. Which idea came first? The Bacon(ator) or the allig(ator) through the drive- thru window? Not sure...but I do know that bacon and alligator are a tasty combo. Isn't this an Alabama delicacy? This is more of a south Alabama dish. I recommend a large bib and skip the utensils. Last edited by BTDT2; 09-23-2018, 10:13 AM. Who cares what it tastes like? It's wrapped in BACON!!! My ex-sister in law grew up in south Alabama where she and her brother loved to water ski. She once told me that seeing alligators slide off the bank into the river was incentive to stay up on the skis. California gators taste like chicken. That there is wrong on so many levels. And New Jersey gators taste like pork. More and more I get the feeling that New Jersey and Alabama have a lot in common. There are currently 5309 users online. 240 members and 5069 guests.